Why choose a Stairplan Staircase. Full range of Service Levels from Trade Supply to Our Full Measuring and Installation service. See who your dealing with. Fusion is a contemporary handrail system incorporating metal and wood, Available with Chrome or Brushed nickel finishes and a selection of timbers from pine to Oak. Stairplan are leading suppliers of the Fusion Handrail System. S-vision is anew style of glass balustrading we offer on our staircases or for you to transform your existing staircase. Oak Contemporary high specification staircase with a contemporary look Glass Balustrades. Townsend Stairs.
" 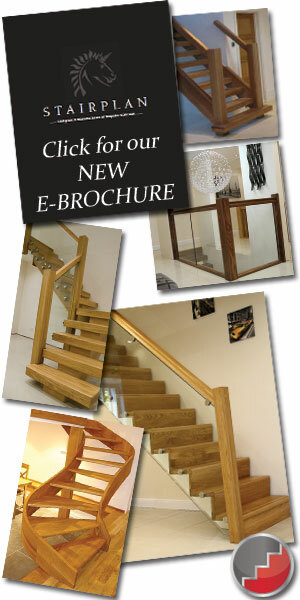 Use our Online Store - tradestairs.com for Stair balustrading parts and a selection of Staircases." Here at Stairplan™ we Pride ourselves in offering the finest quality staircases available from UK staircase manufacturers. Home |Staircases| Stairparts |External Staircases| Stair Spindles | Links | Staircase Plans | Jobs at Stairplan in Telford | Measuring for your stair. Axxys Stair Balustrades | Fusion Stair Balustrades | Glass Stair Balustrades | Curved Staircases | Ideas for Staircases | Standard Winding Staircases | Visit the Showroom.